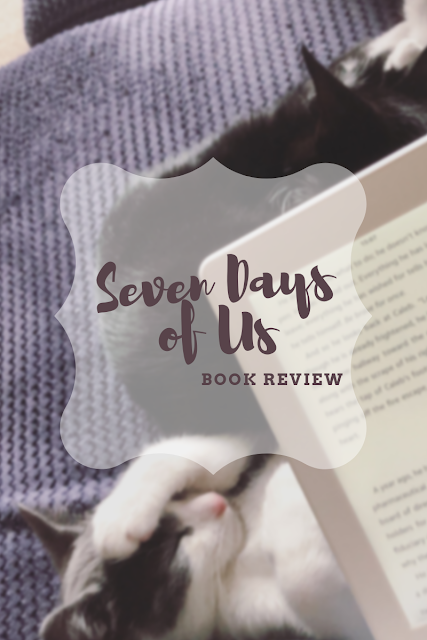 Review: Seven Days of Us | Live to read. Read to live. 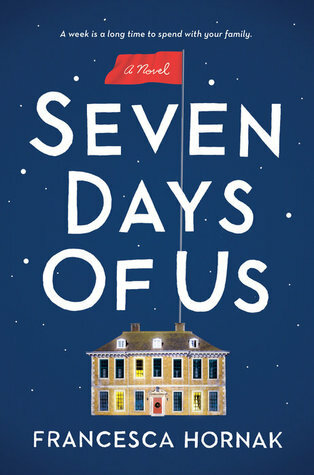 I read Seven Days of Us over the Christmas break, rather belatedly as it happens because I'd had it for a while, but it was set over Christmas and so I wanted to read it over Christmas because that's a thing for everybody right: you don't so much want to read a book (or watch a film) set at Christmas in the middle of August. So I had it, and I thought it sounded marv, and I waited to read it. Turns out that was the right choice because this is such a good Christmas read. It's about a family - Mum, Dad and two daughters - who for the first time find themselves under the same roof over Christmas. The elder daughter has just come back from treating a deadly epidemic abroad and has to spend seven days in quarantine so the whole family trek off to their country house in Norfolk to begin their festive house arrest. You just know, don't you, that it's not all going to be plain sailing. You know this because who wants to read a whole book about a family spending seven days eating cheese and telling each other how smashing they are? Not me. So of course there's drama, and of course it's in the form of secrets. They all have secrets and there must be something about being forced to spend all this time in each other's company which means some of these secrets can't stay hidden and so secrets are revealed and feelings come to the surface and people fall out and make up again and it's a wonderfully tense look at family dynamics and a brilliant festive read. There's the whole quarantine storyline and all that entails with regards to the Haag virus that they're hoping the oldest daughter hasn't brought back with her especially when it turns out the doctor she was sleeping with has it - that's all over the news (that he has it, not the sleeping together. Nobody knows that) and then there's the youngest daughter who's quite possibly the most selfish person I've read about for a while and who I quite frankly wanted to slap across the face who has her own seemingly petty but a big deal to her dramas going on. Their Mum is such a Mother hen, desperate to please everybody and make sure everybody is ok, but harbouring her own secret and struggling to keep a smile on her face whilst her husband, disillusioned restaurant critic wanders about being a bit of a cynical asshat and wondering how to keep his own mahoosive secret from his whole family. It's a split narrative - the four members of the family, and American Jesse who inadvertently gatecrashes the quarantine and then of course can't leave. I think I've said before that I love that format if it's done well. Which it is. All the voices are distinct and clear and well fleshed out so the switch between them never felt awkward or forced and it worked so well getting to see what was going on in this one house through the eyes of everybody in it. I really enjoyed the whole thing actually - Hornak did an excellent job of making me care even about the characters I didn't like and her writing style makes for a really easy read which is just what I wanted given that I was reading it in the mountains after a hard days skiing and often after a vin chaud. I could see this as a film, actually, I think it would translate really well to the big screen. It's the perfect festive read and ok I know it's only January but seriously: get this on your Christmas reading lists for this year.